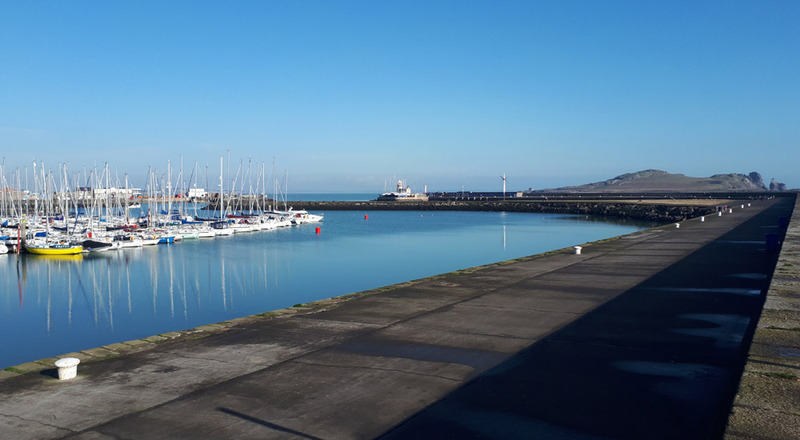 Howth Harbour - 8th April 2018. 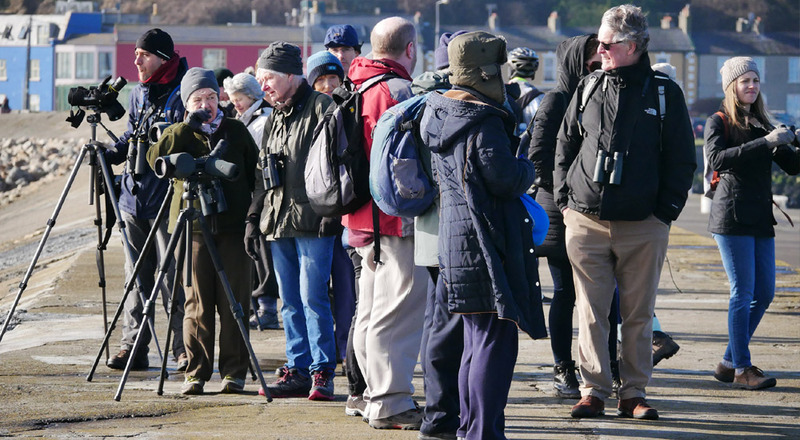 South Dublin members line up the birds on the East Pier at Howth. Picture by Joe Hobbs. 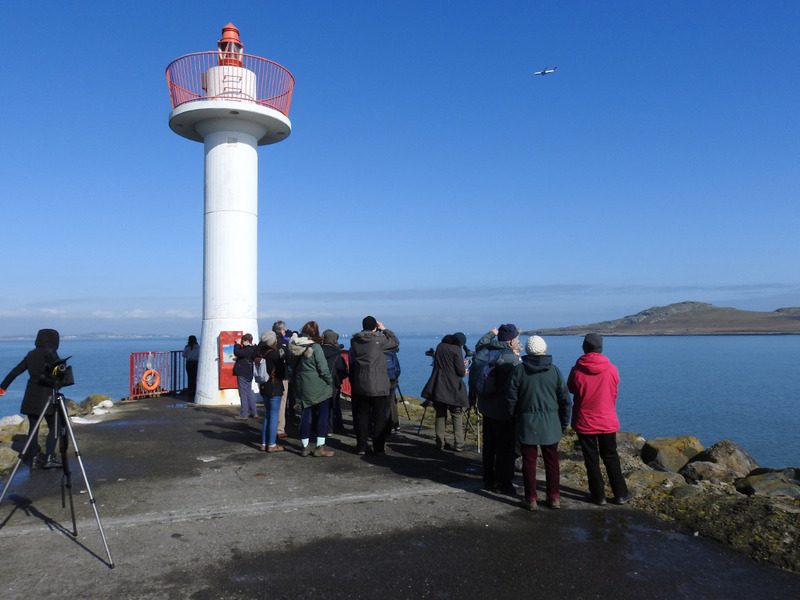 It's been about ten years since the South Branch visited Howth, but this hugely enjoyable outing in glorious weather will surely entice us back before another ten years have elapsed. 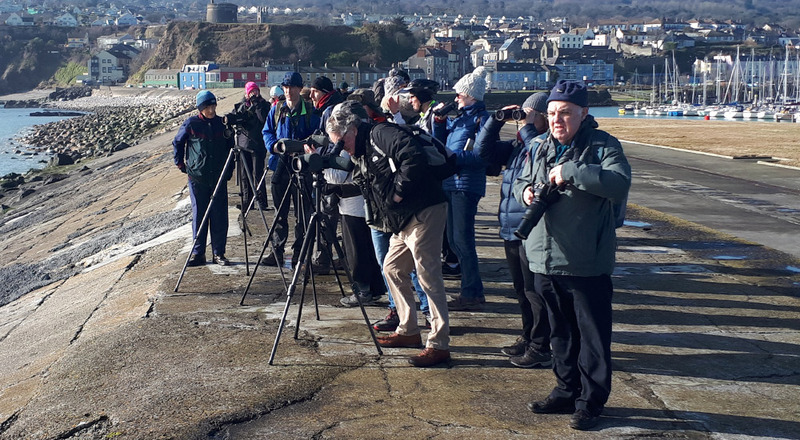 About 30 of us met up at the earlier than usual time of 09:00 near the base of Howth's East Pier and with Niall Hatch leading the outing we set off at a leisurely pace to the end of the pier and back. We enjoyed beautiful sunshine throughout, with partly cloudy skies and a gentle onshore breeze. Probably the best day of the year so far in these parts. Construction of the harbour at Howth was completed in the early part of the 19th century. It was intended to serve as the much needed harbour of refuge for Dublin as well as provide berths for cross-channel mail boats from England. This didn't work out as hoped, mainly due to the problems caused by silting in the harbour, and both tasks eventually got passed to Dun Laoghaire when its harbour was constructed later in the century. Nowadays Howth is mainly used by fishing boats and pleasure craft, and the RNLI has a lifeboat stationed there. 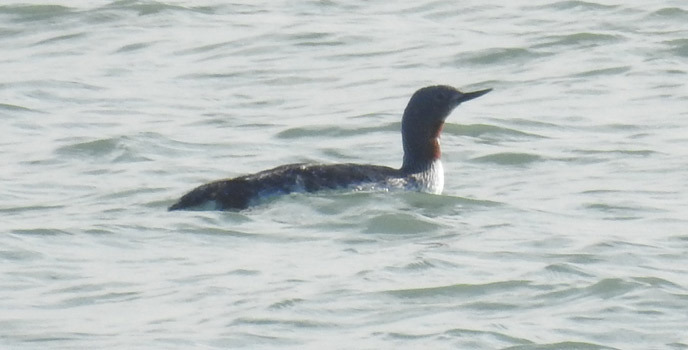 Red-throated Diver coming in to breeding plumage. Picture by Gustavo Zoladz. 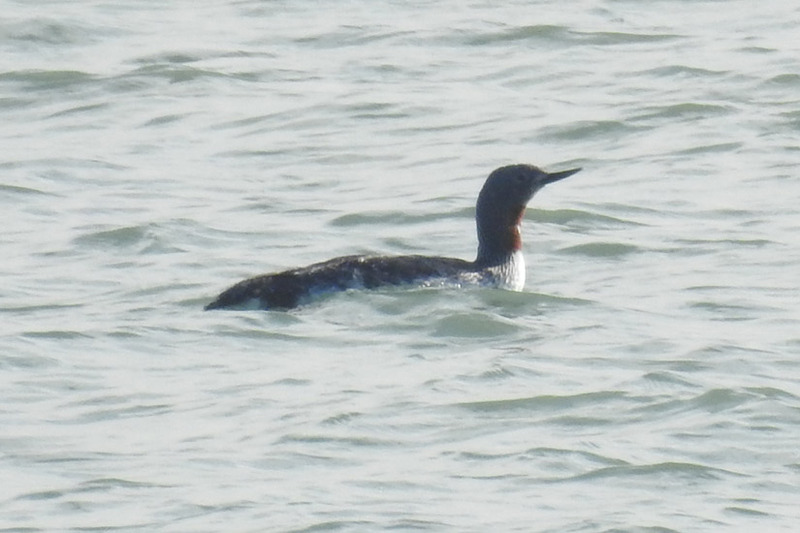 Not surprisingly for early April there was a mixture of winter visitors still hanging around and others that were obviously getting ready to breed, and so it seemed appropriate that our first stop along the pier produced a Red-throated Diver that was coming in to summer plumage. A handful of these breed on bog pools in Donegal but for most of us this is a winter visitor that adorns our coasts from about September to April. This one must be close to leaving and spent all the time we watched it diving for fish, building reserves to use on migration. Turning our attention in the opposite direction towards the harbour we picked up some Sand Martins, probably not long arrived from Africa, that were busy flycatching. Normally associated with steep sand banks or quarries, these have somehow figured out that the harbour walls provide a place to nest. The branch outing in June will be to the Sand Martin colony at Shanganagh Cliffs, so these will not be the last we get to see this year. Pale-bellied Brent Goose swimming in Howth Harbour. Picture by Rachel Hynes. There were good numbers of Brent Geese still around, another species that will soon be departing. 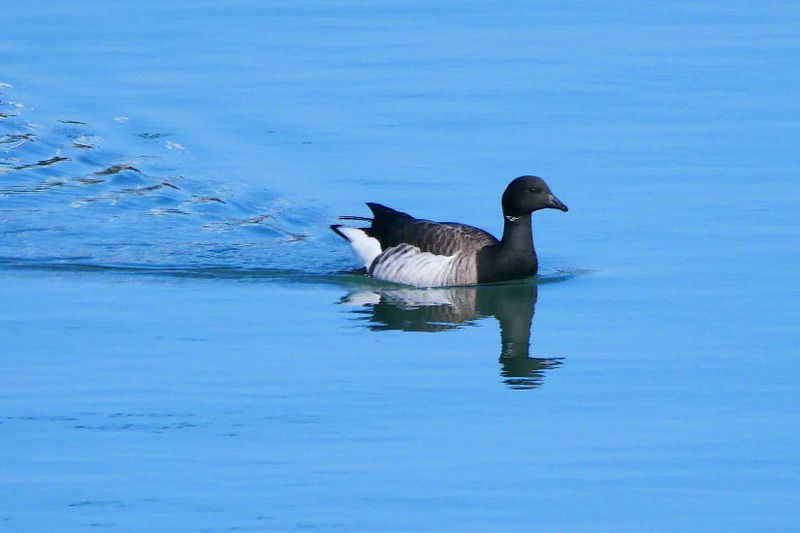 These are Pale-bellied Brent that breed in the Canadian High Arctic, one of three subspecies along with Dark-bellied Brent (very rare in Dublin) from northwest Siberia and Black Brant (just seven Dublin records) from northeast Siberia and Alaska. 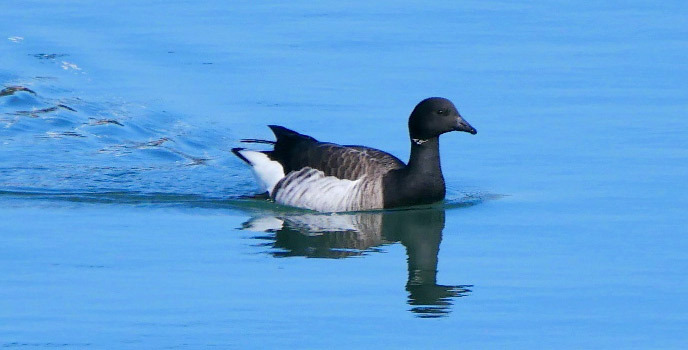 Some have speculated a fourth form, Grey-bellied Brent, and it too has been reported in Dublin. Time will tell if it gets formal recognition as a subspecies. The only other wildfowl on the day were a pair of Mallard that flew high over the harbour heading inland. Those old reliables, Cormorant and Shag, were seen both inside and outside the harbour. Some of the Shags were sporting short pointed crests and some Cormorants were showing their white facial and flank patches, both features indicative of breeding. These very similar species are regularly seen together, without apparently competing for resources, so they must have different requirements to be able to coexist in such close proximity. 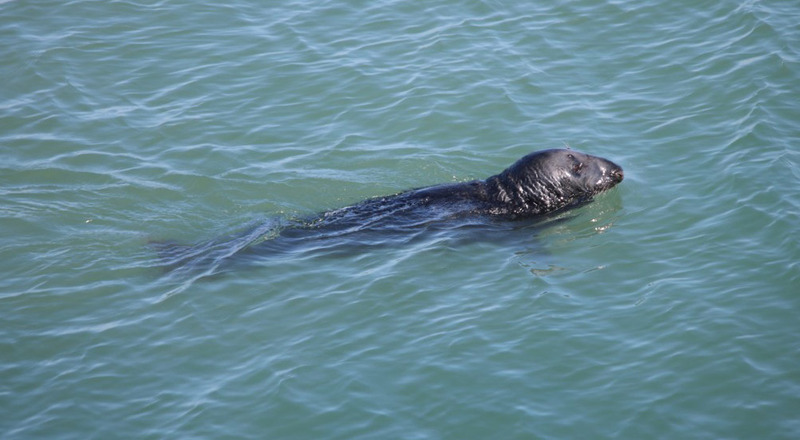 A non avian sighting were a couple of Grey Seals that were swimming and diving near the entrance to the harbour. 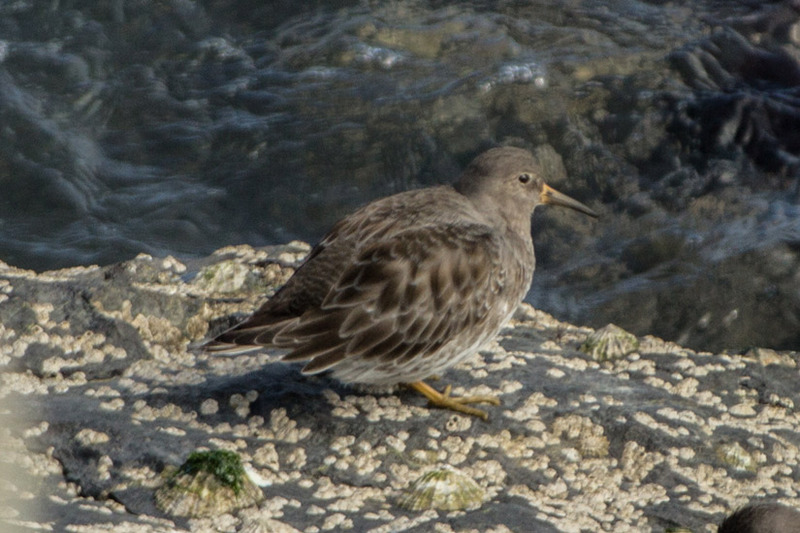 Purple Sandpiper on rocks at the tip of the East Pier, Howth. Picture by Bill Rea. We only saw four types of wader, but they were all good 'uns; Oystercatcher, Turnstone, Purple Sandpiper and Redshank. The Oystercatchers and Redshanks were all over the place, the Purple Sandpipers were on rocks at the end of the pier, while the Turnstones were foraging on mud exposed at low tide in the harbour. 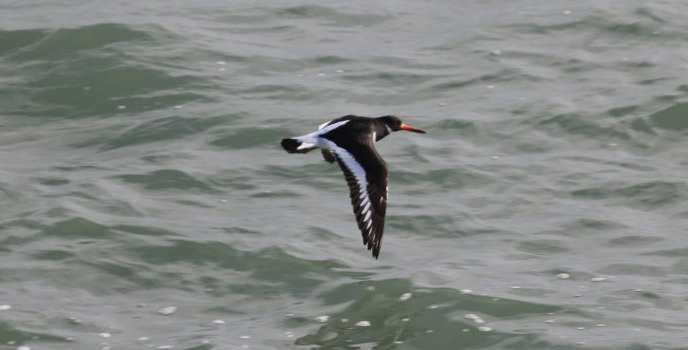 Of these, Oystercatcher is probably the most immediately identifiable, with its striking black and white plumage, red bill and shrill piping call. Despite the name it's staple diet consists primarily of cockles and mussels or when inland will probe for earthworms. Turnstones and Purple Sandpipers are winter visitors and passage migrants, probably from northeast Canada and Greenland. Turnstone is well named for its characteristic feeding behaviour of flicking over stones or bulldozing through seaweed looking for sandhoppers, flies, small crustaceans etc. 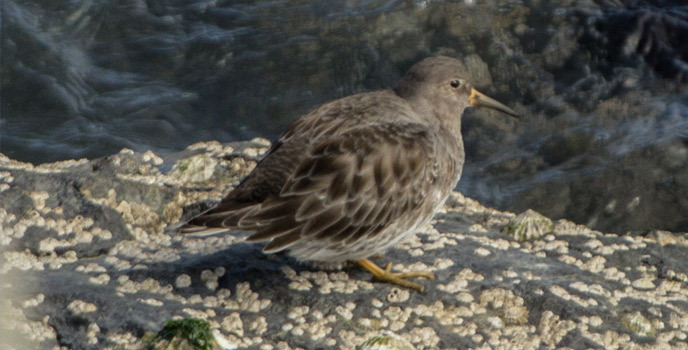 and Purple Sandpiper is regular anywhere there are rocky shorelines. 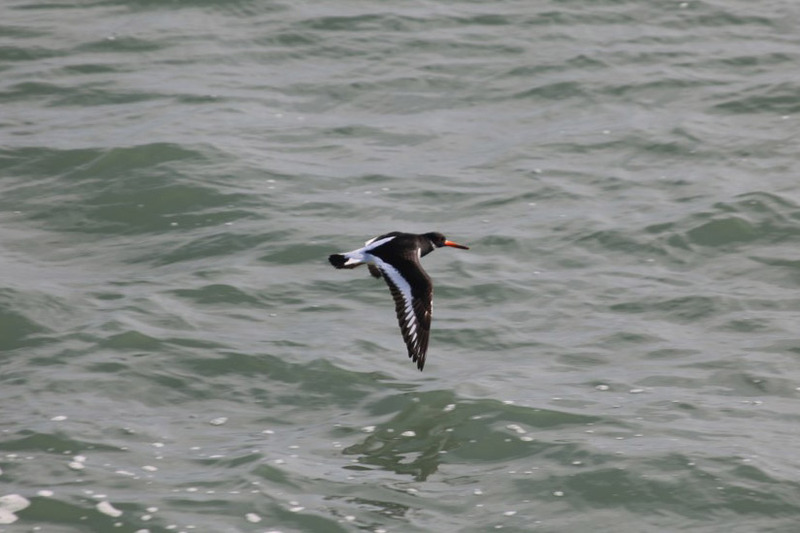 Oystercatcher in flight off the East Pier, Howth. Picture by Emma Tiernan. 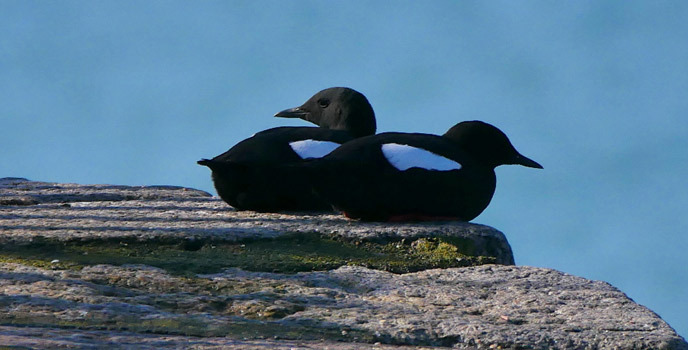 Common and Black Guillemot were seen and both are locally breeding auks. Similar in appearance, they adopt quite different nesting strategies. Common Guillemot breeds colonially on rocky cliffs or stacks with ledges, whereas Black Guillemot is less social and nests closer to sea-level in harbour structures, caves, among boulders etc. All of the auks we observed were in summer plumage apart from a single Common Guillemot that was still in winter plumage. The Black Guillemots were particularly striking, their white oval wing-patches standing out clearly even when way off in the distance. 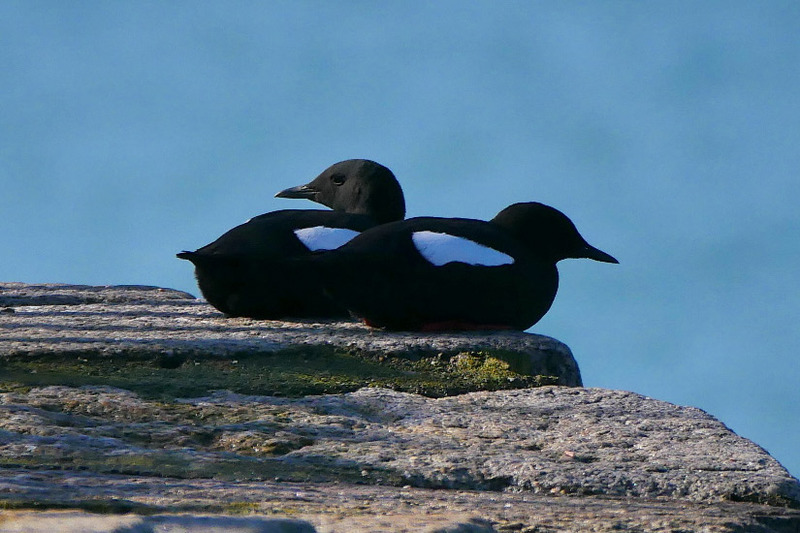 Mr. & Mrs Black Guillemot taking it easy on the pier at Howth. Picture by Rachel Hynes. 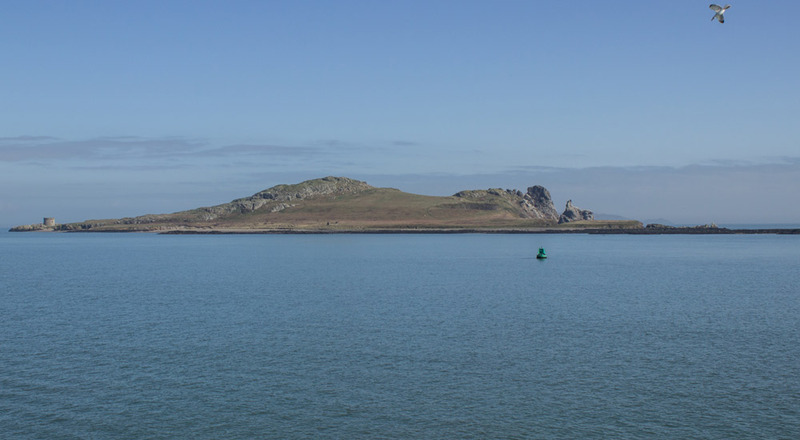 The uninhabited island of Ireland's Eye lies just to the north of Howth Harbour and on such a fine day we were able to get great views of it from the end of the pier through scopes. 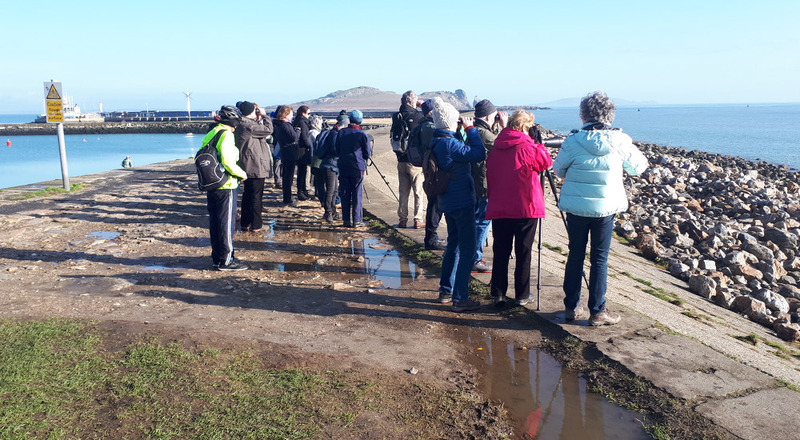 We saw plenty of gulls there as well as smaller numbers of Cormorants, Brent Geese, Starlings and Corvids that included a single Raven perched on the island's Martello Tower, but the most impressive sight was the Gannet colony on the island's sea stack. 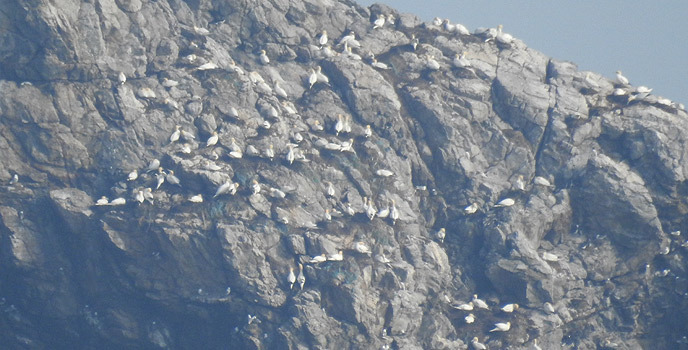 This colony of Gannets on Ireland's Eye is relatively new and the impetus seems to have been immigration from other sites that had become 'full up'. Birds first took up residence there in 1988 when a few nests were constructed and breeding was confirmed the following year when about ten chicks were fledged, but in recent years up to 500 occupied sites have been counted and the colony must be getting close to full capacity. The nearby colony on Lambay Island is the most recent with breeding first taking place in 2007. Gannets are huge and spectacular birds, both elegant and fierce with slim pointed wings and tail and they are at their most dramatic when plunge-diving for fish from a great height, drawing in their wings at the last moment. Count 'em all! 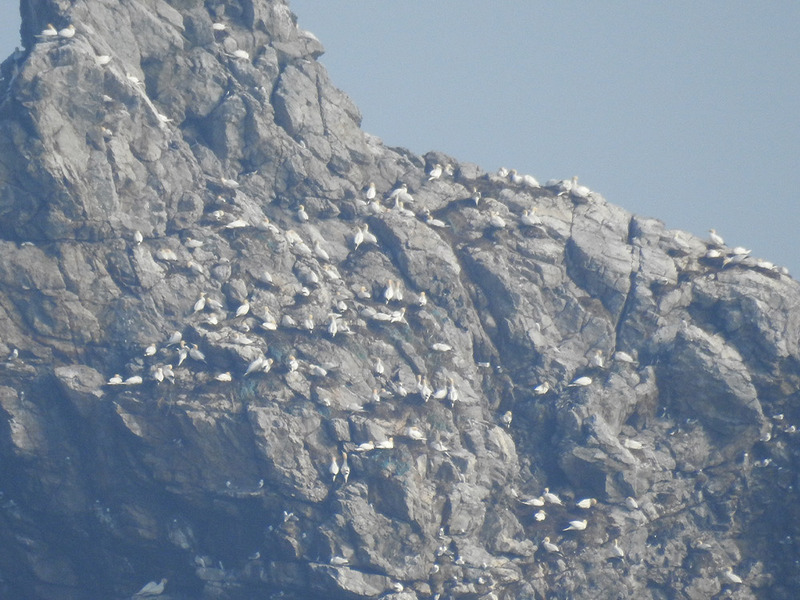 Part of the Gannet colony on the sea stack on Ireland's Eye. Picture by Gustavo Zoladz. 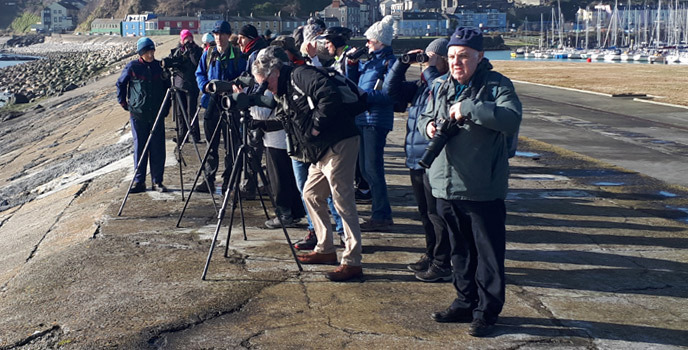 There were plenty of gulls about, both inside and outside the harbour and all were either Herring or Great Black-backed of various ages, although a possible distant Kittiwake was seen but could not be confirmed. Hopes were high that we might have a tern or two on the day (Sandwich Tern the most likely), but that wasn't to be. 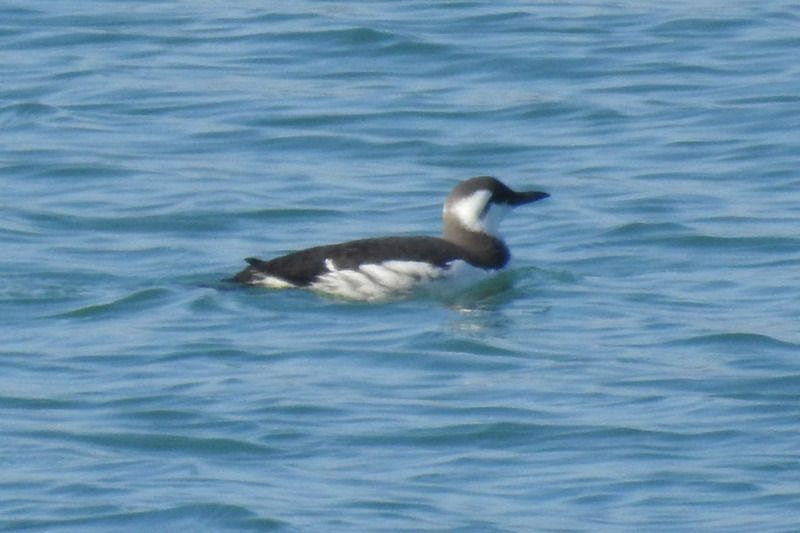 Common Guillemot still in winter plumage off the East Pier. Picture by Gustavo Zoladz. Some more pictures taken on the day by Rachel Hynes, Gustavo Zoladz, Emma Tiernan, Joe Hobbs and Bill Rea. 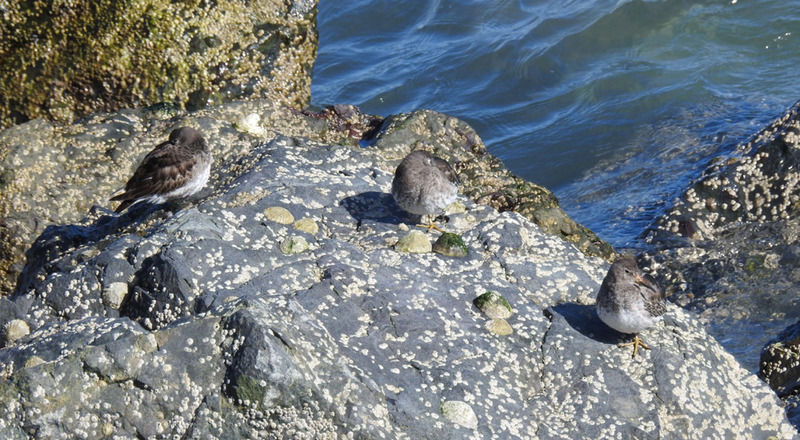 Purple Sandpipers loafing at the end of the East Pier. Picture by Gustavo Zoladz. 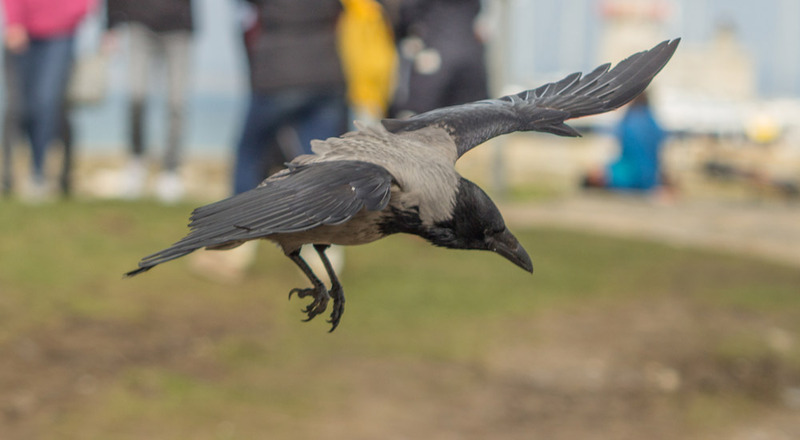 Hooded Crow aerial gymnastics. Picture by Bill Rea. 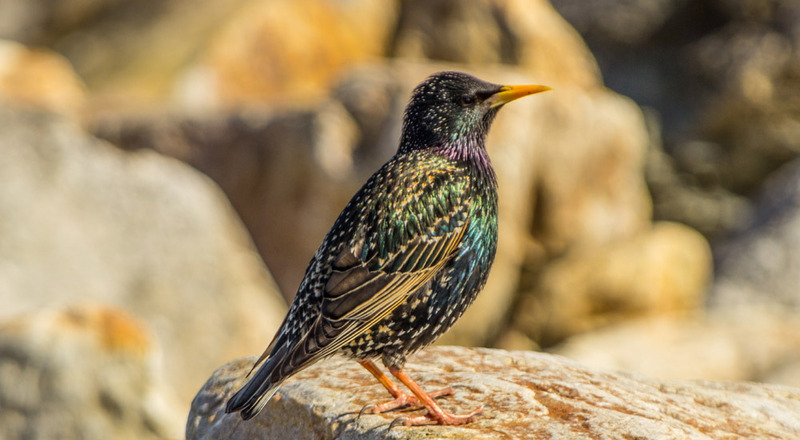 A splendid looking Starling on the pier at Howth. Picture by Bill Rea. One of two Grey Seals that were at the harbour entrance. Picture by Emma Tiernan. Part of the harbour at Howth with Ireland's Eye in the background from the base of the East Pier. Picture by Joe Hobbs. Ireland's Eye from Howth. Picture by Bill Rea. South Dublin members gather on the morning of the outing. Picture by Gustavo Zoladz. Getting busy on the pier at Howth. Picture by Rachel Hynes. Scanning out to sea with Ireland's Eye in the background and Lambay Island further off in the distance. Picture by Joe Hobbs. The very end of the East Pier, that's as far as we can get before we have to turn back. Picture by Gustavo Zoladz. 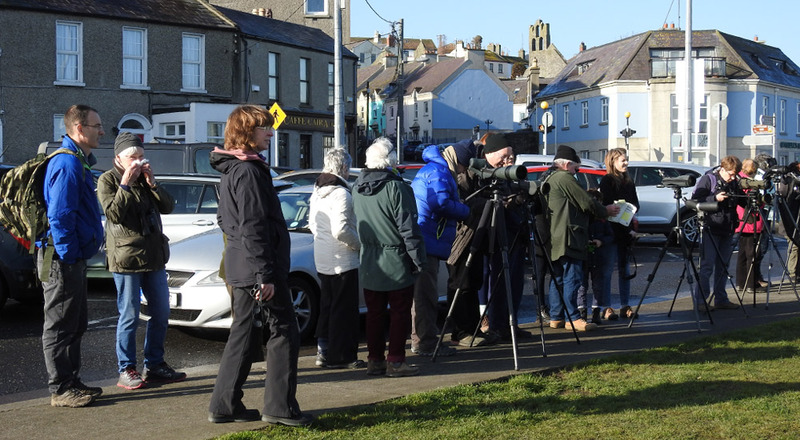 It was after noon by the time we arrived back at the base of the pier where Niall Hatch thanked everyone for attending, made some branch announcements and (hopefully) saw everyone off home happy with their great morning's birding. For those that lingered just a little longer the sight of four Buzzards high over the seafront was the iceing on the cake.